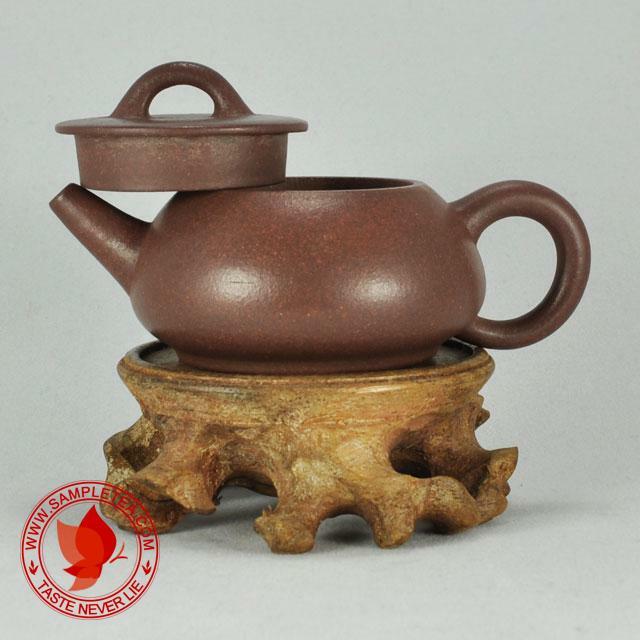 This Yixing Factory 1 "Shi Piao" teapot is made of Huang Long Shan "Yuan Kuang" or "Original Mine" "Di Cao Qing". The clay is pure and precious. 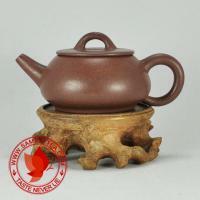 Good workmanship and excellent shape. Export quality. 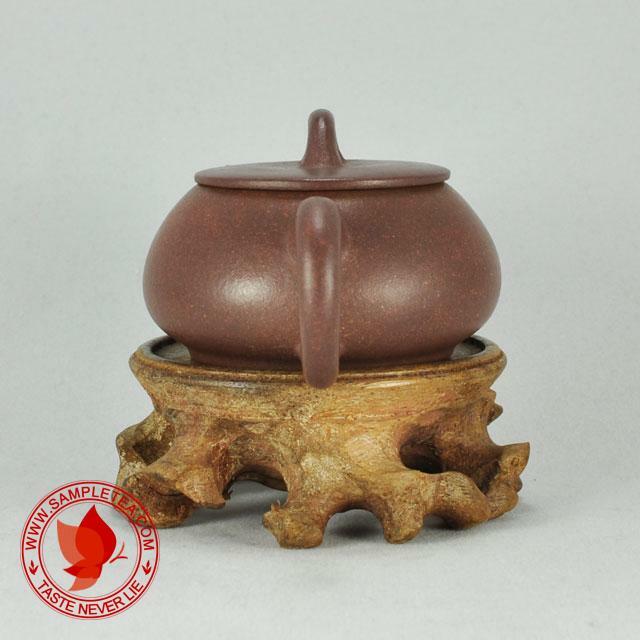 Perfect for all types of "Yan Cha" or "Rock Tea". Clay : Di Cao Qing. Origin : Jiangsu Yixing Huang Long Shan #4 well and later #5 well. 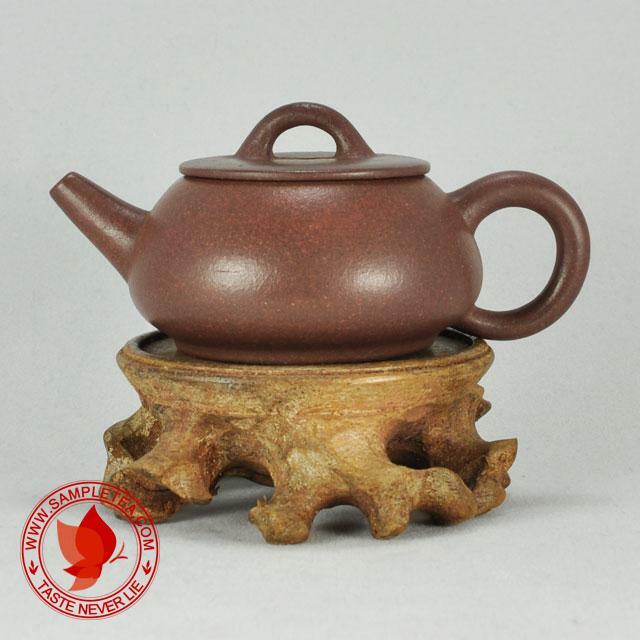 Kiln temperature : About 1180 to 1230 degrees Celsius. Shrink ratio : About 12%. 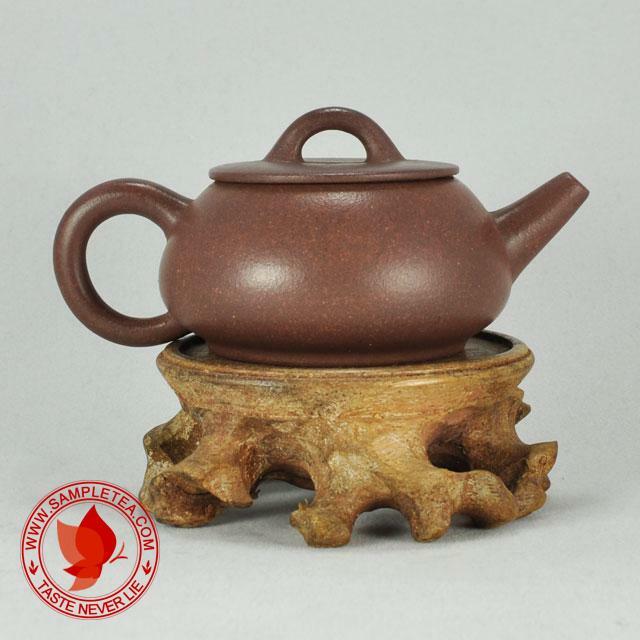 Clay characteristic : The texture is exceptionally pure and delicate. 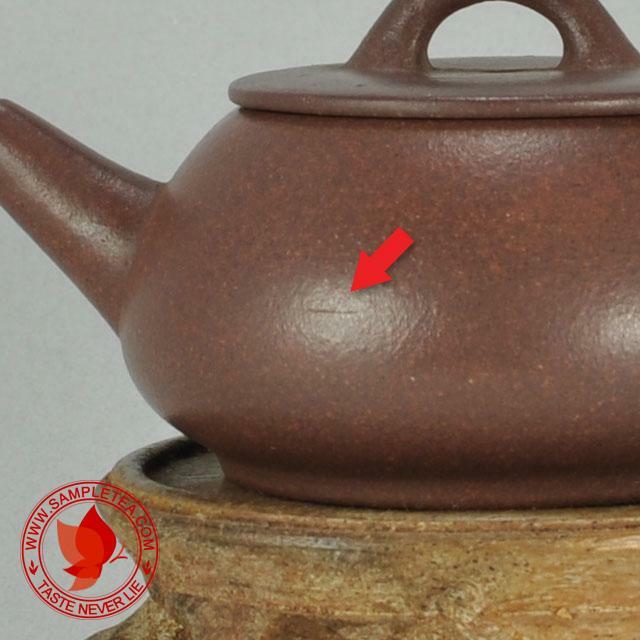 Features : Color purplish green which is fine and pure. 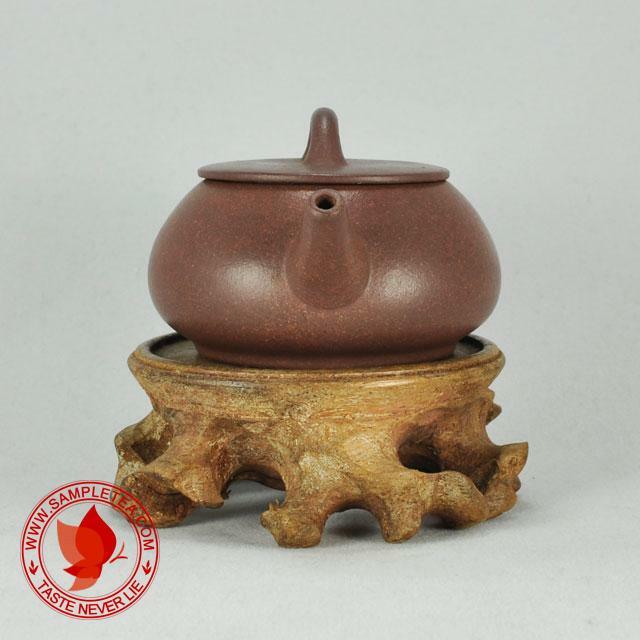 After firing, the pot color become purple reddish liver color. 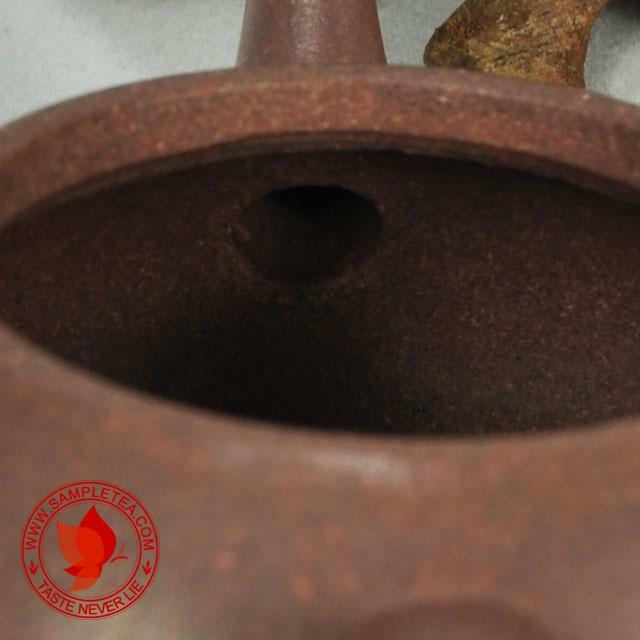 Color might become slickly brown, dark purplish grey and so on depending on many factors like age of the clay, layer of the clay, mineral content of the clay, the firing temperature and so on. 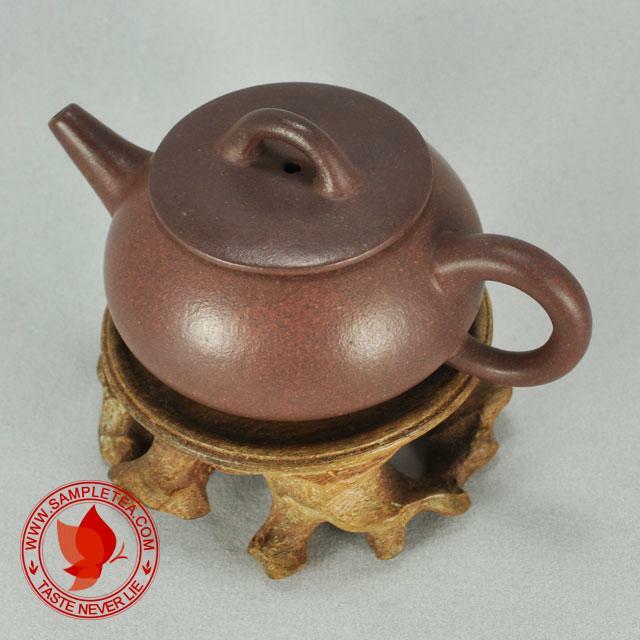 During late 1970's to mid 1980's, Taiwanese ordered a lot of high quality hand-made teapots from Yixing Factory 1 and requested not to use the normal "Zhong Guo Yixing" stamp, so some master potter use the ancient hand crafted poem style and some master potter started to use this "Jingxi surname Zhi" stamp to differentiate from others. 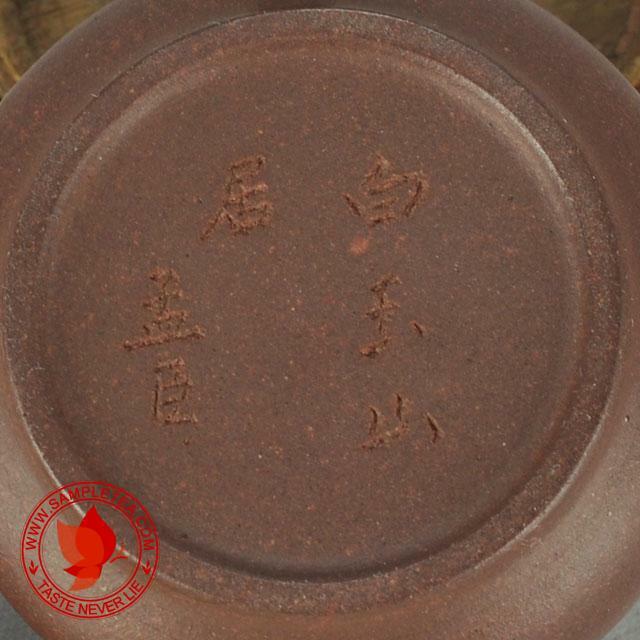 "Jingxi surname Zhi" does not mean the potter's surname, it means the group of the potter belongs to. There are a several other groups with other surname. 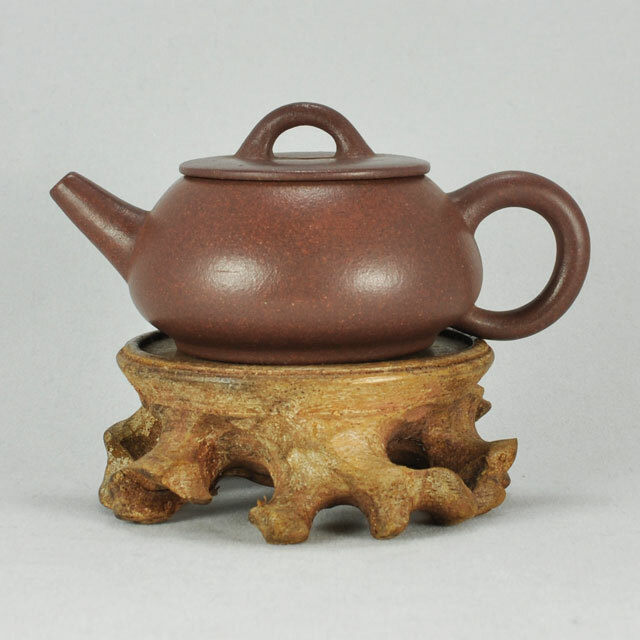 Teapots made in 1970's to mid 1980's bearing this kind of stamp or poem crafting can simply means high quality hand-made teapot from Yixing Factory 1 artist. A slight knife cut. Look at the last picture for a closeup look. Not deep cut, just on the surface and not very obvious.